VOLKSWAGEN: Touareg all models/02->. Modell VW VOLKSWAGEN T5, Touareg alle Modelle/02 ->. VOLKSWAGEN: T5/03->. You pick the item from us and paid locally in cash. You will receive our bank details after our checkout. Double DIN. Car radio accessory. Car radio installation. Radio installation kits. Radio Adapter Cable. Colour: Anthracite. Einbaumaß 1 DIN. Fahrzeugmarke Nissan. Double DIN. Car radio accessory. Car radio installation. Radio installation kits. Radio Adapter Cable. Bass remote. Einbaumaß 1 DIN. Fahrzeugmodell H3. 1-DIN radio cover Kia cee ´ d, black. Double DIN. 1 x 1-DIN radio cover Kia cee ´ d, black. Kia cee ´ d (ED) from 01/2007 till 08/2009 (4/5-door). Kia cee ´ d (ED) as of 06/2007 till 08/2009 (Combi). Car radio accessory. 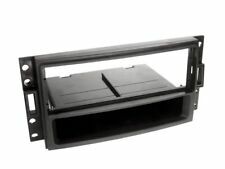 1-DIN radio panel with storage tray Fiat Sedici, Suzuki SX4, black. 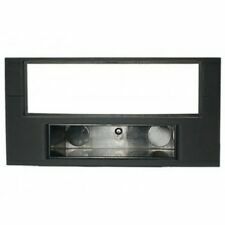 1 x 1-DIN radio panel with storage tray Fiat Sedici, Suzuki SX4, black. Fiat Sedici (FY/GY) ab 06/2006. Fahrzeugmodell Sedici. Double DIN. Double DIN. Car radio accessory. Car radio installation. Radio installation kits. Radio Adapter Cable. Einbaumaß 1 DIN. 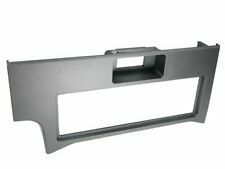 1 x 1-DIN radio panel with storage tray Toyota Corolla, dark grey. Toyota Corolla (E12U/E12J) from 11/2001 to 02 / 2007 (2/3-door, 4/5-door model). 1-DIN radio cover Smart ForTwo, black. Double DIN. 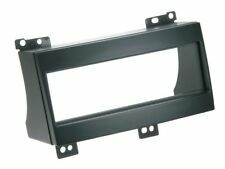 1 x 1-DIN radio cover Smart ForTwo, black. Smart Fortwo (C450) starting 10/1998 until 02/2007 (city Coupé). Smart Fortwo (A450) from 03/2000 until 02/2007 (convertible). 1 x 1-DIN radio panel with Pocket Opel Astra / Corsa D / Zafira satin-stone. Fahrzeugmodell Zafira B. Double DIN. Opel Astra H (A-H) 03/2004-12/2009 4/5-door hatchback. Opel Astra H (A-H/SW) 10/2004-10/2010 caravan. 1-DIN radio cover Ford Ka, silver. Double DIN. Car radio accessory. 1 x 1-DIN radio cover Ford Ka, silver. Ford Ka (RBT) from 09/1996-08/2008. Fahrzeugmodell Ka. Car radio installation. Radio installation kits. Double DIN. 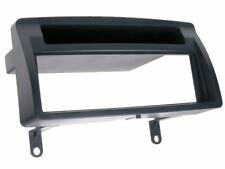 1-DIN radio panel with Pocket Opel piano lacquer / black. Car radio accessory. Car radio installation. Radio installation kits. Radio Adapter Cable. Einbaumaß 1 DIN. 1 x 1-DIN radio panel with Pocket Opel piano lacquer / black. Skoda Praktik (5J) from 04/2007. Fahrzeugmodell Praktik. Skoda Roomster (5J) from 09/2006. Fahrzeugmodell Roomster. Fahrzeugmodell Roomster 5J. Skoda Fabia (5J) from 03/2007 up 06/2014 (4/5-door). Skoda Fabia (5J) from 10/2007 up 06/2014 (Combi). Double DIN. 1-DIN radio cover Ford, Mazda, silver. Car radio accessory. Car radio installation. Radio installation kits. Radio Adapter Cable. Einbaumaß 1 DIN. 1 x 1-DIN radio cover Ford, Mazda, silver. Farbe (Radioblende) hochglanz-schwarz. Double DIN. Skoda Octavia II (1Z facelift) from 01/2009 to 02/2013 (sedan / station wagon). Skoda Octavia II (1Z facelift) from 01/2009 by 04/2012 (Scout). Skoda rapid (NH) starting 10/2012 (notchback). Double DIN. Car radio accessory. Car radio installation. Radio installation kits. Radio Adapter Cable. Einbaumaß 1 DIN. Fahrzeugmarke Nissan. Radio Kits. 1-DIN radio cover Ford KA, black. Double DIN. Car radio accessory. 1 x 1-DIN radio cover Ford KA, black. Ford Ka (RBT) from 09/1996-08/2008. Fahrzeugmodell Ka. Car radio installation. Radio installation kits. 1-DIN chassis, ABS black Chrysler Stratus convertible, sedan. Chrysler Chrysler Stratus convertible 1995-2001. Chrysler Stratus sedan 1995-2001. Modell Chrysler Stratus Cabrio, Limousine. Material: ABS.